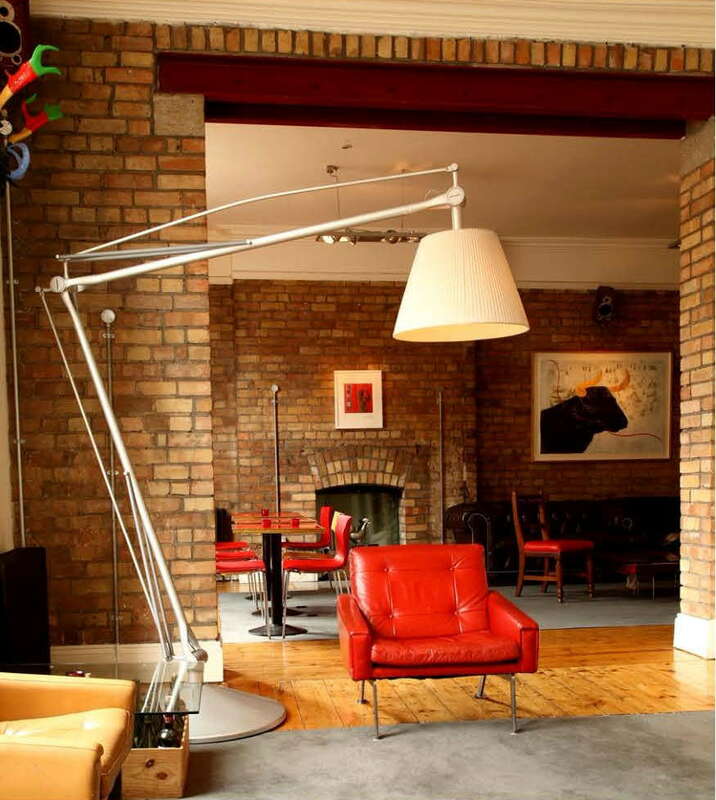 With buzzing bars and restaurants not just next to and below the hotel but actually within it, this cool little hotel is at the epicenter of trendy Dublin. The downside? This means it's loud, particularly at weekends, and there's no getting away from that fact. 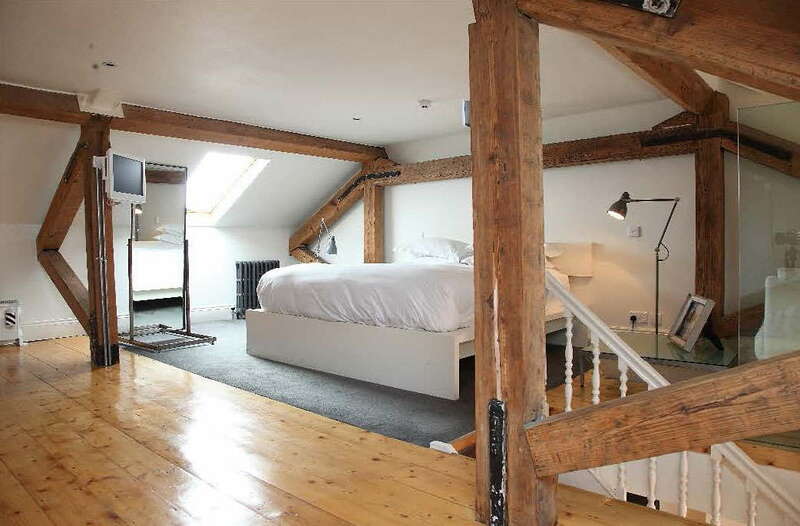 But if you're in Dublin for a party, Kelly's provides it, along with modern, un-fussy white bedrooms and some little design touches all situated in an original Victorian redbrick at the heart of the city. 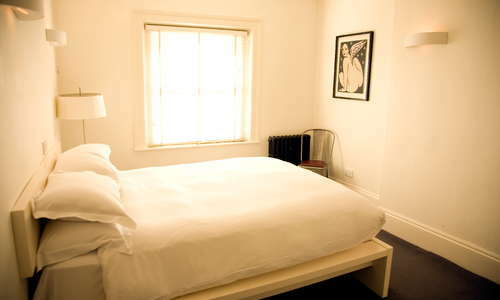 The standard rooms are small and all-white, devoid of clutter but managing to avoid looking a bit too plain with some cool features, like anglepoise lamps and interesting art. Beds are comfortable. YOU SHOULD KNOW Rooms don't have air con, and while staff can provide fans, it's worth thinking about this in summer. There's also no lift. Bathrooms are similarly plain, but clean and functional, with showers. 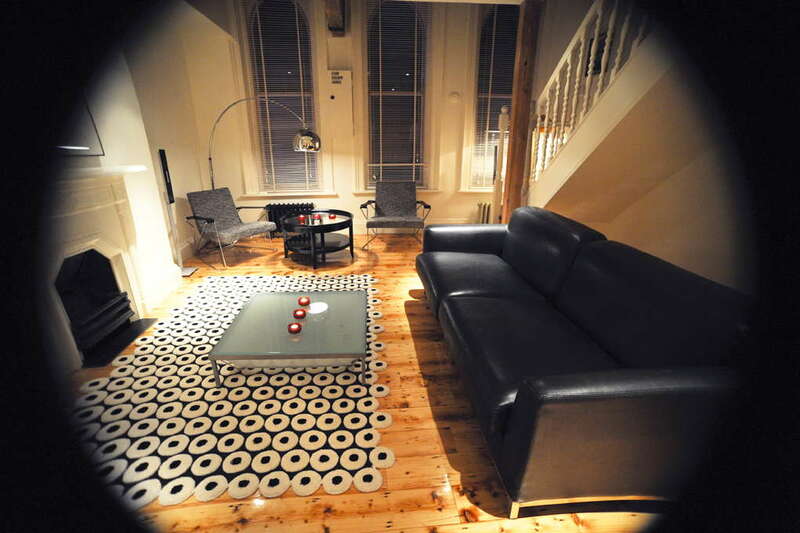 The reception area has a young, stylish feel, with high ceilings, wooden floors, and funky furniture. Staff are friendly and helpful. The continental breakfast, at a nearby cafe, is decent. The hotel has its own residents bar (obviously), the Candle Bar, which continues the same modern, trendy feel of the rest of Kelly's. 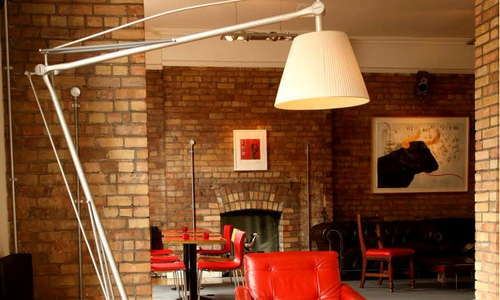 Th hotel is also connected by a bridge to the popular No Name Bar, so you won't even need to go outside to sample Dublin's party scene proper. Try the cocktail with no name to fit right in. 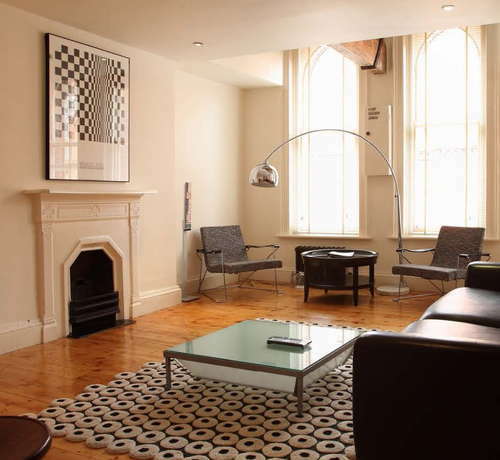 The hotel is slap bang in the middle of Dublin's party and cultural quarter, with bars and restaurants steps from the hotel. It's also good for shopping and the major tourist attractons, and transport. But bear in mind this central location and connectedness come at a cost: noise. L'Gueuleton (1-minute walk) is a classy French joint that can feel a little old-fashioned. 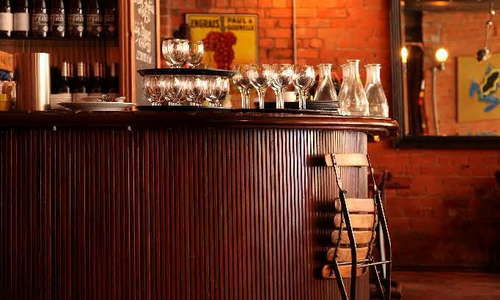 Or try the popular Fade Street Social (1-minute walk), an up-to-the minute tapas bar, restaurant and cocktail haunt. No Name Bar (1-minute walk - you don't even have to go outside, see above) is worth a go, and not just because of its proximity to the hotel. 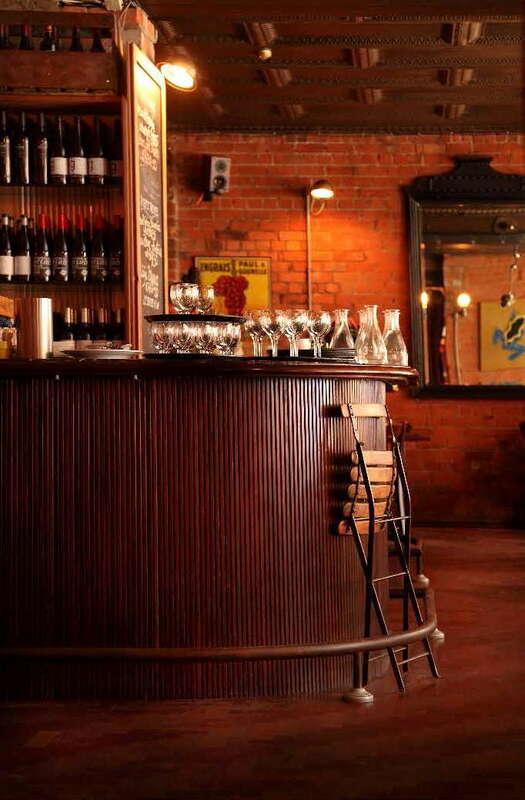 It also boasts a good atmosphere and hip, hidden vibe. Or Hogan's (1-minute walk - below the hotel) is another cool, spacious hangout, with tables on the street and live music that punters love and lighter sleeping hotel guests hate (the hotel does provide ear plugs). 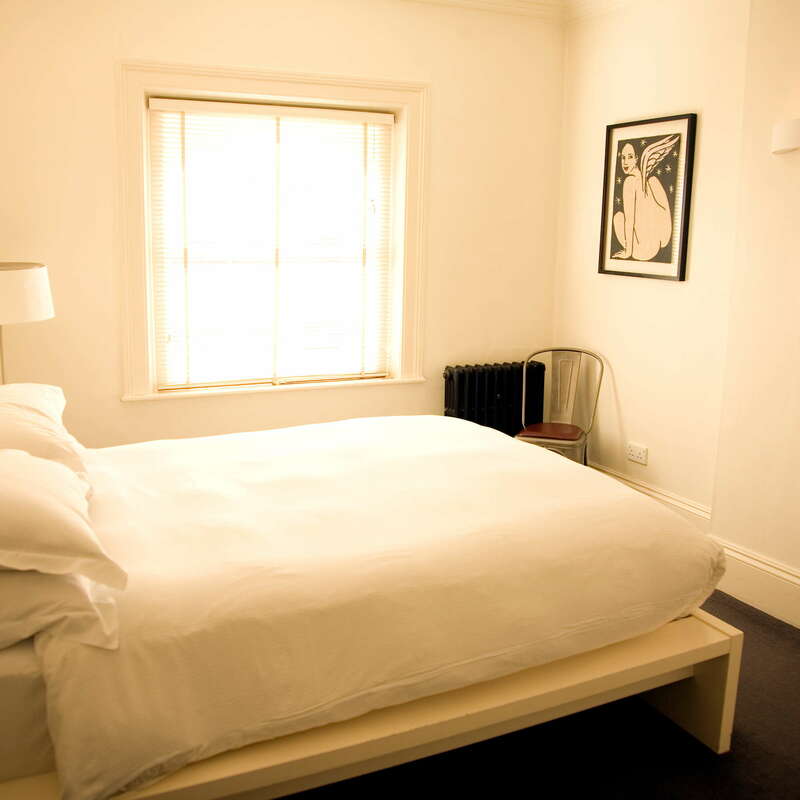 Cool, well-priced accommodation at the center of party Dublin, Kelly's has a funky feel and comfortable beds. 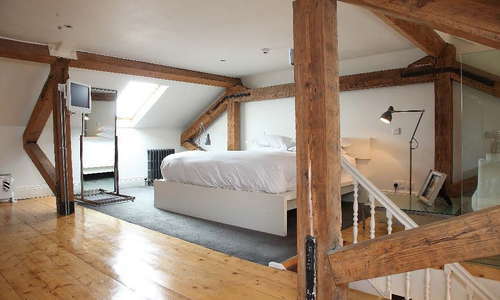 But be warned: if noise bothers you, don't stay here. The hotel warns its guests before booking about the noise almost as many times as we have, and if you're a light sleeper, it's just not worth it. But for those who like to hear the hum of the city and the revelry below (or indeed, to take part in it), it's a great spot.